Advertise! Advertise! Advertise! But what if you just can’t “Cedar Point”? The quote that begins the August 2014 Our Kingdom Ministry is well known to most JWs. It is very often repeated, and is one of the historical highlights in the most recent DVD that purports to cover the early history of Russell, Rutherford, and the Watch Tower Society, the Bible Students, Rutherford, etc. (Pt 1:”Out of Darkness”). “… Since 1914 the King of glory has taken his power and reigns. He has cleansed the lips of the temple class and sends them forth with the message. The importance of the message of the kingdom cannot be overstated. It is the message of all messages. It is the message of the hour. It is incumbent upon those who are the Lord’s to declare it. The kingdom of heaven is at hand; the King reigns; Satan’s empire is falling; millions now living will never die. “Do you believe it? Do you believe that the King of glory is present, and has been since 1874? Do you believe that during that time he has conducted his harvest work? Do you believe that he has had during that time a faithful and wise servant through whom he directed his work and the feeding of the household of faith? Do you believe that the Lord is now in his temple, judging the nations of earth? Do you believe that the King of glory has begun his reign? “Then back to the field, O ye sons of the most high God! Gird on your armor! Be sober, be vigilant, be active, be brave. Be faithful and true witnesses for the Lord. Go forward in the fight until every vestige of Babylon lies desolate. Herald the message far and wide. The world must know that Jehovah is God and that Jesus Christ is King of kings and Lord of lords. This is the day of all days. Behold, the King reigns! You are his publicity agents. Therefore advertise, advertise, advertise, the King and his kingdom.” – Watchtower, November 1, 1922, p. 337. Clearly there was plenty of reason to change the 1874, 1878 and 1881 dates, after all of the expectations for 1914 didn’t come to pass. And it seems that Rutherford must have already been thinking that he should move away from the older 1874 and 1878 and 1881 dates. Something had to be done, because it had all gone wrong. 1914 would be the easiest to salvage because it was the most recent, and pivoting on that date gave him the most flexibility. But we don’t really know what he was thinking. The original belief under Russell, of course, was that Jesus was present since 1874 and that doesn’t change here. But there is a hint that Rutherford is already thinking of moving the 1878 date. Officially, it’s still the date on which Jesus was supposed to have taken his kingly power and begun to rule. However, Rutherford here appears to be careful, as if sending up a trial balloon to judge the direction of the wind. If the Bible Students could appear to accept such a change, this speech could be said to have initiated it. If they didn’t accept, well he hadn’t actually said it, at least not outright. The Watchtower admits that 1874 wasn’t formally removed until 1943. It’s hard to believe it took them until 1943 to make it official. But we also know now that there were some contradictions to work out and apparently Rutherford was having Fred Franz work on them. But it wasn’t so much a matter of solving the contradictions as figuring out what could stay and what could be “smoothed over” even though the contradictions never really went away. Which solution had the least visible contradictions. Of course, the Watch Tower can’t be blamed specifically for leaving out portions of a quote, because inclusion can imply that the belief hadn’t changed (unless otherwise noted in the context). But this brings up another question: For how long did the Watchtower continue implying that dates and events from the late 1800’s still had some Biblical fulfillment? The picture of the Cedar Point assembly above is from the Watch Tower’s 1959 release “Jehovah’s Witnesses in the Divine Purpose” Note the fuller quote here from the same talk, with no corrections in the context, that implies some remaining beliefs in the interpretations offered both 1874 and 1878. Why has the King come? To set up [God’s] kingdom and reign as King. But he had a work to do before his reign began, and that is a preparatory work. Since there are to be associated with him in his reign his body members, these must be gathered together and prepared for the beginning of the reign. . . . The Lord foreknew, of course, that Satan would not peaceably yield the kingdoms of earth. He knew that there would be a great conflict, and hence he must prepare for that conflict. . . . The gentile times ended . . . 1914, and immediately followed the World War; and since that day there has been upon earth distress of nations, with perplexity. It has been a day of increasing darkness and blackness and suffering. The physical facts, then, clearly show that the day of preparation was from 1874 forward; . . . that the day of preparation ended in 1914; and that in 1918, or thereabouts, the Lord came to his temple. This coming to the temple was for judgment, because judgment must first begin at the house of God. (1 Peter 4:17) The judgment would be upon the true church and also the nominal system. . . .
Do you believe it? Do you believe that the King of glory is present, and has been since 1874? Do you believe that during that time he has conducted his harvest work? Do you believe that he has had during that time a faithful and wise servant through whom he directed his work and the feeding of the household of faith? Do you believe that the Lord is now in his temple, judging the nations of earth? Do you believe that the King of glory has begun his reign? Then back to the field, O ye sons of the most high God! Gird on your armor! Be sober, be vigilant, be active, be brave. Be faithful and true witnesses for the Lord. Go forward in the fight until every vestige of Babylon lies desolate. Herald the message far and wide. The world must know that Jehovah is God and that Jesus Christ is King of kings and Lord of lords. This is the day of all days. Behold, the King reigns! You are his publicity agents. Therefore advertise, advertise, advertise, the King and his kingdom. At any rate, what was eerie was how no one could really “Cedar Point” for so many years. They didn’t have a lot of solid ground to stand on. Today, Cedar Point, on a skinny little strip of land jutting out into Lake Erie, is best known for an amusement park. Erie coincidence! What really blows my mind is the one-sided judgmental attitude that is given off. I get so upset my own father my best friend refuses to talk to me. He even reported to my whole family (on the other side ) that I’m on drugs, that I’ve gone crazy and satan has dragged me off as his prey, and of course the apostate. I hate that word please tell me so they can talk the doctrine but when someone else says hey what about this scenario you’re a worthless scum apostate. Literally it means the worst form of a human being there exists on earth. I’ve tried to talk to them just about the DF part how it’s so wrong I ask him who did Jesus heal and love and protect it wasn’t the avid religious leaders it was the sick the lame the blind people weighed down with sins. JESUS FORGAVE ALL, LOVED ALL, HE CURED ALL AND LAST JESUS DIED FOR ALL MANKIND. Not just the WBTS or those in it. Jesus said those who are last will be first and those first will be last meaning if u boast you’re the only right religion and preach that salvation is thru WBTS, and that you must do all what watchtower say. But if you speak up on a particular portion of the cult you’re labeled an apostate. So Jesus was telling us don’t be puffed up with pride thinking you’re right and they’re wrong, that our side is the only way to salvation. Where does it say that you must obey this man made billion dollar machine? In fact it’s very similar to idol worship taking emphasis off god and on their organization. JESUS’ WORDS (I AM THE WAY, THE TRUTH AND THE LIGHT. NOBODY CAN GO TO THE FATHER EXCEPT THRU ME) it doesn’t say only WBTS is your salvation. THE TRUTH WILL SET YOU FREE. Jesus told us to be no part of this world meaning corrupt religions brainwashing. That there are people being involved with such a thing makes me sad. There are so many that will never see them for what they really are. The Kingdom was not Born in 1914. It only take 3 scriptures from the Kingdom Interlinear Bible printed by the GB in 1985 to prove this. In that Bible,the GB admit what the original Greek says,but wont teach it. Yet,the NWT has been printing and teaching the error of the verses used to “prove” 1914 since 1950. “pangs of distress” which should be according to the Greek “Birth-Pangs”…and these happen before a birth,not after as the WT/GB teach. See the proof within the Kingdom Interlinear Bible. Proves to me that the devil was cast out of heaven. The one Eye dollar represents the devil. That’s funny. It shows you can do just about anything you want with numbers. For example, the Federal Reserve SYSTEM was indeed founded 12-23-1913. But the “Eye of Providence” on the 13-story pyramid was not designed until 1934. Note how 607-1+1914=2,520 but 587-1+1934=2,520. So you might have just “proved” that Jerusalem was destroyed in 587 BCE so that the seven times (a.k.a. 2,520 years) would end in A.D. 1934, when that “Eye of Providence” first showed up on a one-dollar bill, the design approved by FDR himself. Just to be clear, everything I just said above is very true. At least it’s in Wikipedia and on other sites. But no one should believe it has anything to do with 1914, 587, 607 or 1934 — no matter how well the numbers work out. Numbers can be made to prove almost anything. Especially if we have been served a diet of apophenia. very interesting observation thank you. Kevin, Please share exactly which 3 KIT verses and why. Thank you. 1914? NEW Information: The 1,914 years (after Christ) must be transposed from the Jewish (360 day) to the Gregorian (365.2425 day) calendar. 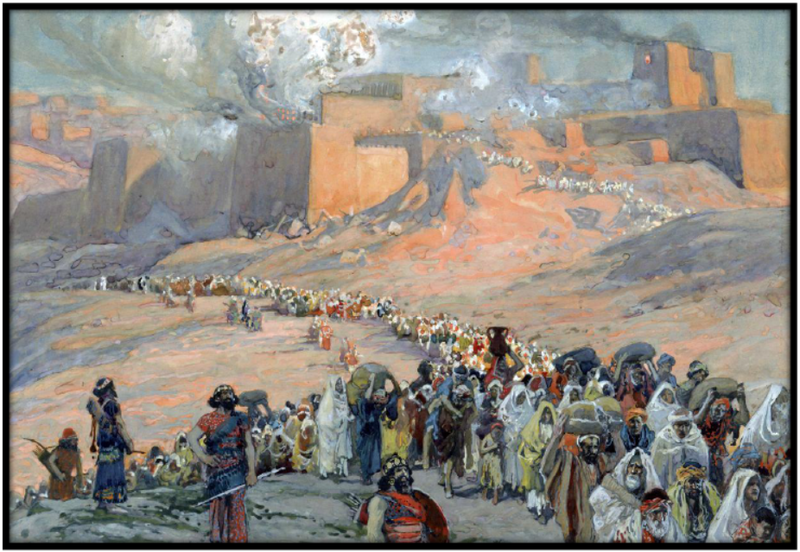 Jehovah’s Witnesses (the early Bible Students) did not take this into account in their ”607 BC – 1914 AD” calculations. (Approx) 28 years difference! Considering this, 1886 AD would have been the date the Kingdom was set up, not 1914. We can use this information to destroy the foundational 1914 dogma, and hopefully ”awaken” some members. 1914 – Recognizing the ”The elephant in the room”. 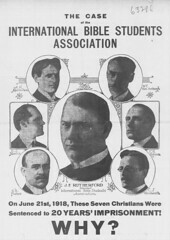 The problem with the date ”1914 AD” lays with the two calendars that are involved – Jewish and Gregorian. BUT…Those 1913 years must be counted as Jewish years of 360 days each – they do NOT suddenly become Gregorian years of 365.2425 days. Those 1,913 Jewish years (after Christ) have to be transposed from Jewish years into Gregorian years, do they not? The way to do that, would be to multiply 1,913(the number of Jewish years since Christ) times 360 days, to get the total number of days in that time period. Therefore, 1,913 Jewish years, times 360 (Jewish days in a year) equal 688,680 Jewish days. Now, divide that number by 365.2425 to transpose it into our calendar. It comes to the year 1885 AD. The ”year ONE” – BC / AD problem still has to be taken into account. Jehovah’s Witnesses added one year, so the number of years becomes 1886 AD. 1886 AD should have been claimed as the ”YEAR THE MESSIANIC KINGDOM WAS SET UP” —- not 1914. This is the “elephant in the room”- something too ”big” to be seen. We were all focused on the 607 BC – 587 BC problem, and couldn’t see this one. If we can reach people (flood the internet) with this information, we will help many in JW.org to leave. If the year, ”1914” goes, many of their (present-day) dates go with it. They fall down like dominoes. PLEASE HELP. If we blitz the internet, we can cause a furor. JW.org will have a hard time doing damage control. Some JW’s will see the titles, automatically understand the problem with 1914, question it, and RUN WITH IT. YOU TUBERS, make your own video. Put the information under the video for people to copy and paste, or use links; leaving the comment section open to get reactions. In addition, writing something across the Picture will bring added attention. Copy and paste this information (or write in your own words) and put it in the comment section of all (recent) videos that you have made. Perhaps suggest that it does not get buried by other comments. People can use the REPLY button to leave comments. For those who don’t make videos, copy and paste this information in the comment section on sites that talk about this issue, etc. Put a copy of this on your X JW Internet sites. Go on other Internet X JW sites and contact them, so they can participate. Put this on JW.org sites in their comment sections. Use Links, Share, Email, Face book, Twitter, etc. Put on X JW forums, etc. Make new Internet sites (for JW’s who type ”1914” in their Browser). Make stand-alone PAGES on your blogs. Phone the Society and ask questions – think of the hub-bub that would cause. The front desk would be buzzing. Make a video of your phone call to JW.org. For those of you who speak different languages, ADVERTISE, ADVERTISE, ADVERTISE. 1914 – the wrong date – the difference in the calendars. What? 1886 AD? NOT 1914??? 1914 in Question. What about the rest? I’m thinking that the answer most JWs would give is “Why?” There is no such thing as a Jewish year that has 360 days. The Jewish years were always either 354/5 days or 384/5 days. (The extra day or so depended generally on the day that the new moon was visible each month.) 360 was just a nice way to round off the average for ease of calculations. In fact, Microsoft Excel has a “DAYS360()” function because banking/finance often uses a 360-day year for some calculations. But over the long run, the number of days would average out to be closer to 365.3 days each, because in the Jewish system, every 19-year period would be made up of seven 384-day years and twelve 354-day years. Over that 19-year period the average year would sometimes be 365.36 days, although additional adjustments to the number of 29-day months and 30-day months over time would force it back into an average closer to 365.247 days. So the Jewish year is also an average of 365.25 days, just like the Gregorian years. There is no such thing as a 360-day Jewish year. El asunto es que la WT calcula la duración del “tiempo de los gentiles” considerando siete tiempos de 360 días: 7 * 360 = 2520 días que convierten en años. Pero, por qué no hacer el cálculo considerando 365,24, es decir, 7 * 365,24 = 2556 días o años. 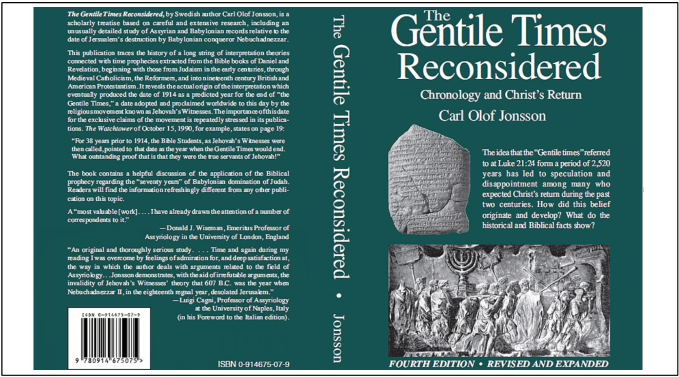 The issue is that the WT calculates the duration of the “time of the gentiles” considering the seven times of 360 days: 7 * 360 = 2520 days converted into 2,520 years. But, why not do the calculation considering 365.24, i.e., 7 * 365.24 = 2556 days or years. There are many ways that people have played with the numbers to reach a particular date. But the more basic problem is that there are no 7 Times of the Gentiles. The whole idea comes from Luke 21:24 which is paraphrased in Revelation 11:3,4 and said to be measured as 1,260 days, not 2,520 days. There is absolutely no evidence from Daniel 4 that indicates these 7 times have anything to do with the Messianic kingship or even Gentile kingship. A wicked and haughty gentile named Nebuchadnezzar is removed for seven years and is then allowed to rule again after a humiliation, but this does not mean that a Jewish (non-Gentile) dynasty is interrupted from 607 BCE until A.D. 1914. Jesus is not the fulfillment of the re-seating of a haughty but temporarily humiliated king. The Bible says that the dream of Daniel 4 was fulfilled upon Nebuchadnezzar. There is no second fulfillment involving 7 times. Even if the Bible had said so, there is no reason to start such a timeline in 607 BCE. The fall of Jerusalem was 587 BCE, which would move your date to 1949 + 20 = 1969. It would move the WT calculation to 1934. One could also have used 360-day years for the entire calculation, which is 5.25 days less (365.25-360=5.25) from each of the 2,520 year periods, resulting in 2,483.7 years, or 1876 from 607. Or 1896 if we start from 587 BCE.